Thanksgiving has always been one of my favorite holidays. I love Fall and the holiday is right in the heart of my favorite season. I love everything about this time of year, from the changing leaves to the smell of Fall air to Halloween and family time on Thanksgiving. Of course, the food during the holidays is also a favorite! And the star is just about always the turkey. Even the pickiest kids in the family can’t wait to dig into the juicy bird. Turkeys can take up a huge chunk of the holiday meal budget, though, at their regular price, which is typically around $1.50 per pound. Considering turkeys are usually between 15 and 25 pounds, your cost just for the bird can be about $22 to $38, and even more if you’re feeding a lot of people this year. Fortunately, several grocery stores reward people who shop thereby offering excellent turkey deals before Thanksgiving, making sure that just about any family can afford to have a yummy meal. In fact, some of them give away not just discounted turkeys, but 100% free turkeys with the use of rewards cards or with other purchases. I’m going to give you all the details right here, so you’ll know exactly where to shop this holiday season to save some big bucks. Keep an eye on the following grocery store Thanksgiving deals to get a free turkey to feed your family this holiday season! Please note that these stores have been known, in the past, to offer free turkeys through the promotions I’ll explain below. Unfortunately, that doesn’t mean the promotion will also happen this year, but I wanted to let you know about the stores that are the likeliest to offer free turkeys! If you have any local grocery stores (non-chains), don’t forget to check them out too. One near me offers free turkeys with a specific purchase amount every year, so definitely don’t overlook your small local businesses for deals. Toward the end of October or beginning of November, Acme starts to release its Thanksgiving deals, including any free turkey promotions it might offer. Be sure to check your flyer if you have an Acme store nearby. In the past, the store’s offered a free turkey with a $100 grocery purchase. Albertsons typically has free turkey offers with a specific dollar purchase from its stores, usually $100. Sometimes, it will also allow you to get a turkey for a super low price per pound if you purchase at least $50 in other items. In 2017, you could get one turkey for $0.39 a pound with a purchase of at least $50, or the free turkey with a $100 purchase. Just be sure to check the fine print, because you’ll typically have to keep your turkey within a specific weight range. Fareway tends to give away turkeys to customers who purchase at least $50 of qualifying items during the promotional period. The offer is usually for a small bird, but the store has, in the past, applied the discount to a larger bird if you need one. Throughout the month of November, check your H-E-B flyers for Thanksgiving promotions. In past years, the store has given away free turkeys to people who make a specific dollar amount purchase or who purchase a specific item, like ham. Hy-Vee sometimes gives away small turkeys (about ten pounds) with the purchase of another specific product during the holidays. In the past, the store’s offered the bird for free to customers who also purchase a ham. If you have a Safeway card, you can take advantage of its yummy offers this holiday season. Safeway typically has awesome deals on turkeys each year as long as you have a valid card. 2017’s offer was a free turkey with a $100 grocery purchase. If you have a Price Plus card for ShopRite, you might be able to score a free bird this Thanksgiving. The store gives you points for your purchases, and when you earn a specific number of points through the promotional period, you could be eligible to get a free turkey. ShopRite’s known to do this type of promotion every year, so it pays to be a member here! When you shop with your rewards card at Weis, you could become eligible for a free Thanksgiving bird. In the past, the store has run a promotion beginning in October that lets customers receive points for purchases to earn a free turkey for the holiday. The past promotions have required about $250 in purchases, but those purchases are spread out through October and November. At select stores, WinCo usually offers free turkeys when you purchase a specific dollar amount in groceries at the store (usually $100 or more). The deals may vary between years and stores, but it’s likely that if you have a WinCo near you, you could score some type of great deal on your Thanksgiving stuffer this year. WinCo also tends to have excellent promotions on bundles of items you’d need for Thanksgiving dinner, like its 2016 promo for a turkey, sides, bread, and more for under $50. If you live in a small town without the above grocery stores nearby (or maybe your local one isn’t participating in the free turkey promotion), here are some other stores that usually offer incredible deals on Thanksgiving turkey. Note that these stores have had excellent deals in past years, so we’re including them here for that reason. This year’s deals may be very different, or the stores may not have any promotions for turkeys. Bi-Lo seems to always have some great Thanksgiving deals near the holidays. A couple of years ago, the store ran a promotion for a $6 turkey with the purchase of $30 in groceries, and another year, it offered the birds for $5! Best of all, the store doesn’t usually have size restrictions on the bird you buy. It’s also had full Thanksgiving dinners already prepared for under $50. For the 2017 season, Fred Meyer offered their turkeys at just $0.47 per pound. All you needed to do was buy $50 worth of groceries at the store to receive the deal. If you’re picking up your other Thanksgiving meal staples there anyway, that won’t be too tough to do! The store has also been known to offer a free turkey with $150 purchase in the past, though, so keep an eye out on flyers if Fred Meyer is near you. One of the things I love about certain stores is that, when they run really good promotions, they’ll price match the promotions other stores have. Giant Eagle is one of the stores that does that on occasion and will advertise it in its flyer with eligible promotions. Its Thanksgiving deals usually have price match guarantees where it will price match its competitors if you find turkeys for a better deal. The store itself has had turkeys on sale for $0.57 per pound, which is hard to beat anyway, but it’s good to know that you might even be able to get it cheaper. Kroger usually chops its prices for Thanksgiving staples, including turkeys, near November. Prices will fluctuate depending on the brand and availability, but the store’s been known to slash the turkey prices down to $0.49 per pound. Meijer’s done their gobbler promotions in different ways in the past, but you’re pretty much guaranteed to get a good deal on one if you shop here. Customers have been able to get birds for $0.48 per pound, while some select stores offer percentage discounts with a specific dollar amount purchase. Publix usually discounts even its biggest Thanksgiving birds starting in November. In years past, you could get them for $0.59 a pound, so a 20-pound turkey would only cost $11.40. That’s a price just about any family can afford! QFC offered turkeys at $0.47 per pound in 2017, which is quite an awesome steal. Best of all, you only needed to purchase $20 worth of groceries to be eligible to get your bird at that price. Sam’s Club can be a great place to go if you want a stuffer that is antibiotic free. The store tends to have discounted prices on its Jennie-O Premium birds that aren’t given antibiotics and are fed a vegetarian diet. Shaw’s has been known to mark down their turkeys to about $0.58 per pound during the Thanksgiving season, which would make a 20-pound bird $11.60! No reward card or special purchase is necessary to get Shaw’s turkey deals. I’ve seen lots of great offers on Stop & Shop birds over the years, so this is one place that should definitely give you a great price. In fact, it’s been known to go as low as $0.39 per pound on them in the past and doesn’t usually require a huge shopping bill to do it (sometimes $25 is all you need). Target tends to put a few different brands of turkeys on sale during the holiday season, so you can choose from various brands and price points. Look in its flyers for rotating turkey deals starting in early November. I’ve seen most prices hover around $0.99 per pound (and that’s for even the most popular brands, like Butterball! ), but have also seen them as low as $0.79 per pound at Target. My local Walmart is similar to Target, offering a range of prices on turkey to meet just about any budget. A couple of years ago, I scored a turkey for $0.59 a pound. I’ve also been able to combine Walmart’s turkey prices with manufacturer’s coupons for $1.00 to take even more off the price. And, don’t forget about Ibotta (check out our full Ibotta review here). Around the holidays, the app will usually have cash back offers for turkeys and other Thanksgiving staples to help you save even more on your purchases. Since Walmart has so many items, I can usually find the brands I need there to fulfill the requirements for Ibotta rewards! Conclusion: Get a Free Turkey for Thanksgiving! The stores above are not an all-inclusive list of places to go for good prices on your Thanksgiving stuffers, but they’re ones that have been known to offer some of the best deals. Hopefully, you have at least one or two of these around. If you need more than one turkey, visit multiple stores to take advantage of their free and discounted offers! 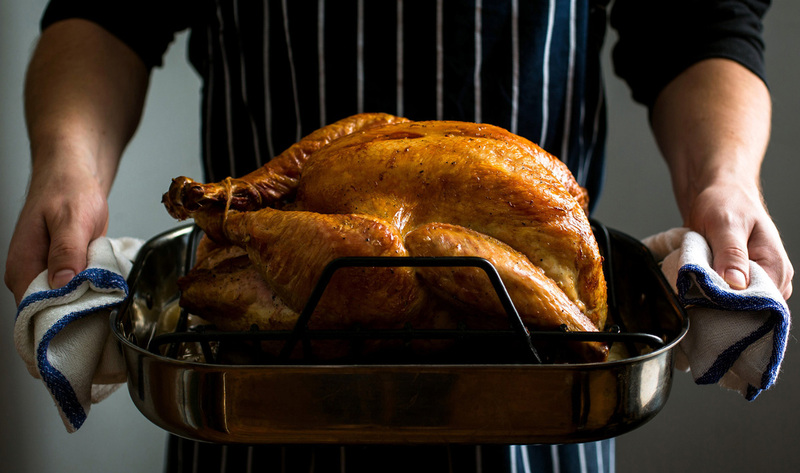 The great thing about these birds is that you can freeze them for a long time, so even if you don’t need everything you picked up for this holiday, you can save it for Christmas, Easter, or just another regular family meal. Where do you tend to get your Thanksgiving birds? Are there other stores you know of that offer free turkeys? We’d love to hear about them – leave us a comment below! “How Can I Get Free Air for Tires Near Me?”: 12 Ways to Find It!